ArtReach St. Croix hosts, produces, promotes, and participates in bringing the arts to people and people to the arts. We’re involved in events for kids and adults both indoors and out: art exhibits, concerts, literature, movies, and art classes. We also offer business education and other resources for established and emerging artists. organization that reaches more than 20,000 people annually. ArtReach St. Croix relies on community support to provide high quality arts and cultural programming throughout the St. Croix Valley. We connect the community and the arts. 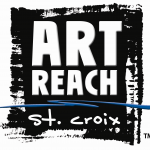 ArtReach St. Croix is a non-profit, 501c3 organization with over 20 years of history! We will work with your company to create an integrated sponsorship package tailored to your business objectives. The arts are an important part of fabric of life in the St. Croix Valley. Sponsorship of arts and cultural events shows a support of what our community values in the quality of life here in the valley. economy to grow and bring more business to the area. Please contact us at by email or at 651-439-1465 to discuss sponsorship opportunitites!